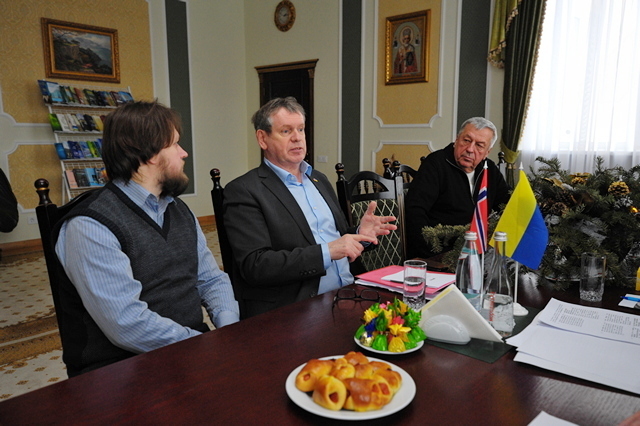 Rector Stanislav Nikolayenko met with Amund Myklebust, representative of Geno Global company (Norway). Geno SA is an organization that breeds Norwegian Red Cows, the main breed in Norway. It has been researching and developing cattle breeding since 1935. 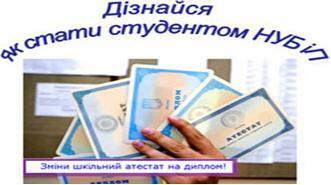 Geno Global distributes genetic material to more than 30 countries. Participants of the meeting discussed the possibility of founding breeding center for dairy cattle breeding accounting system at NUBiP of Ukraine for future scientific, production and educational activities. Such center would be opened in partnership with Norwegian University of Life Sciences and Geno Global. Professor Sergiy Ruban expressed confidence that creation of such a center could become unique for our country and help to bring new and existing scientific projects to much higher level. 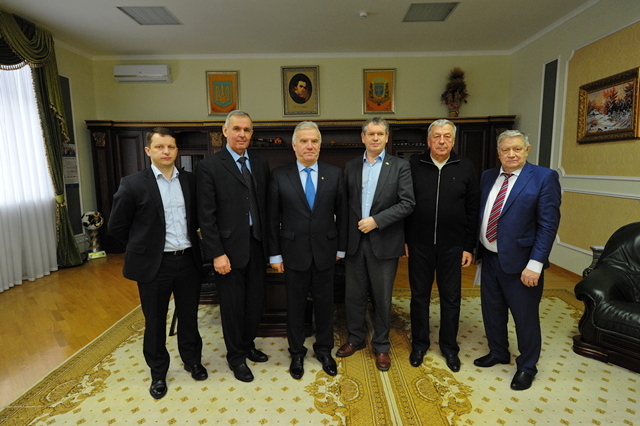 Academician Igor Ibatullin noted that creation of the center for genetics and animal breeding may contribute to the establishment of a center of excellence at NUBiP of Ukraine for further dissemination of best practices in livestock breeding and genetic research. 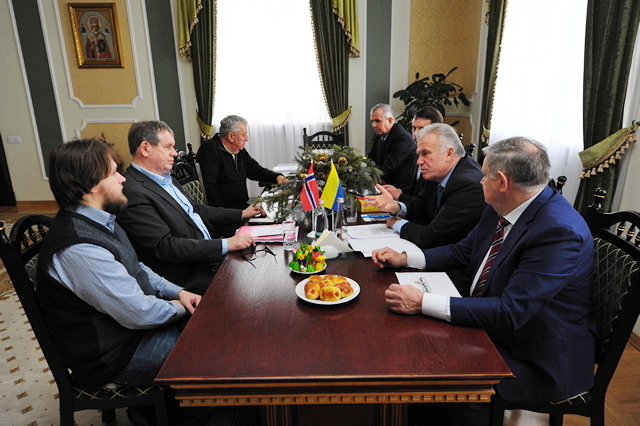 Rector Stanislav Nikolayenko, summarizing the results of the meeting, expressed his support for the establishment of the Breeding Center and thanked Amund Myklebust for the desire of Geno Global company to cooperate in the development of scientific and educational programs.